Linda Terveen used to wake up in the middle of the night with her tongue glued to the top of her mouth and her cheeks stuck to her teeth. She would wake up in desperate prayer hoping she’d be able to drink some water and relieve her seriously dry mouth. During the day, Linda would constantly experience unquenchable thirst. Linda is like so many others who suffer from a common medication side effect: Dry Mouth. 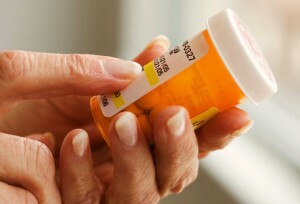 •	Even neurological medications for treatment of ADHD. Thanks to a new laser treatment at Loveable Smiles in Richardson, TX, Linda now feels more rested because her sleep is no longer interrupted due to extreme dry mouth. Her saliva glands have been re-stimulated and now function better to create the moisture that is needed for the mouth, teeth and gums. Dr. Korenman is the first in Dallas/Ft. 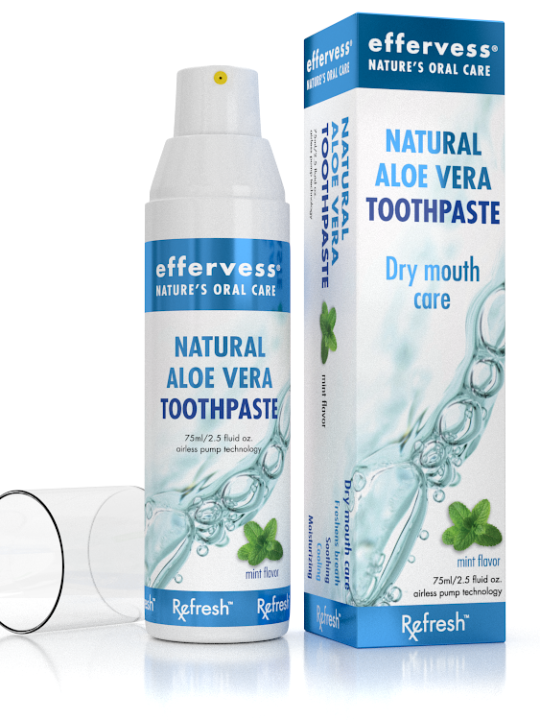 Worth to offer this breakthrough laser treatment for Dry Mouth. 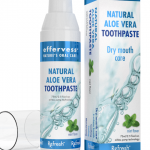 This is the first treatment that actually deals with the problem of Dry Mouth itself and not just the symptoms. The treatment is painless, simple and quick. Learn more about the dangers of dry mouth here. This is the advice from one of our patients who is thrilled with her new smile. A “Smile Lift” or cosmetic dentistry with Dr. Korenman from Loveable Smiles in Richardson is easy, virtually painless and can have a significant impact on your entire appearance. For many people, a healthier, more beautiful smile plays a major role in a quality-filled life. It can literally change the way you feel from the inside out. There are a few options when it comes to a Smile Lift and whitening your teeth is one of the easiest and most immediate ways to help you look younger and more attractive. When it comes to whitening, Dr. Korenman of Loveable Smiles is your best resource. 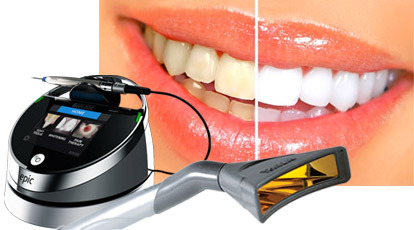 He provides laser whitening with the EPIC Diode Laser by Biolase, which not only activates the whitening agents that brighten tooth color, but does this so efficiently that treatment time only last 20 – 30 minutes (compared to most other traditional in-office whitening procedures which take an hour or more). Additionally, a cosmetic smile makeover can usually be completed in as little as one hour to about 10 days from start to finish. Dr. Korenman assesses several factors to determine your cosmetic dentistry treatment, which in some occasions can also correct certain health and function issues. Occlusion, or “bite position” – the nature of your “occlusion” – how your teeth come together when you bite down. Tooth Alignment – teeth out of alignment often produce a poor appearance and may cause immediate and long-term problems with your dental health. 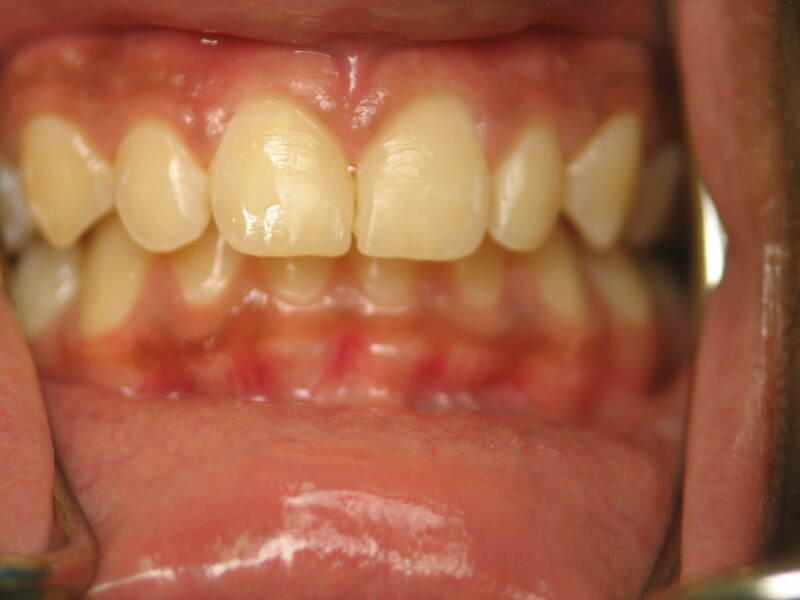 Misaligned teeth can be corrected or altered in several ways to create a healthier, more attractive smile. Potential solutions include porcelain veneers, and Invisalign clear aligners. 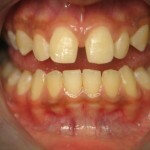 Broken or chipped teeth are unattractive and uncomfortable. They can easily be restored and strengthened to ideal shape and size. Worn Teeth – teeth that are extremely worn down can be lengthened and reshaped making them stronger and younger looking. Discolored or Stained Teeth – teeth that have not responded to over-the-counter whitening products or formulas may respond better to and last much longer with specialized treatments provided by Dr. Korenman. 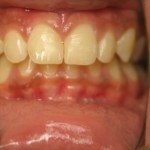 Possible treatments include whitening and porcelain veneers. Diastemas, or “spaces between your teeth”, can also be easily corrected. 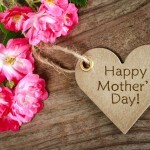 This Mother’s Day, give mom the gift of a bright smile with a Laser Teeth Whitening or Smile Lift gift certificate. 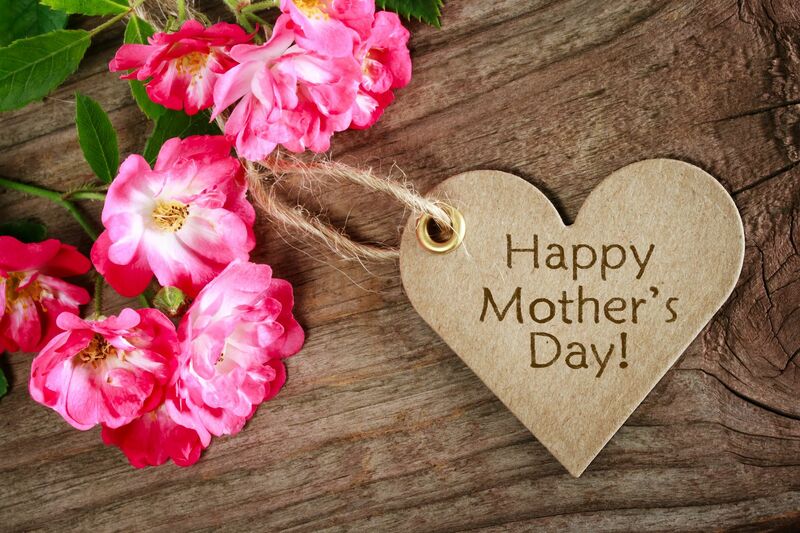 Call us Today to Order Your Gift Certificate and to Schedule Your Mom a Complimentary Consult Just in Time for Mother’s Day! 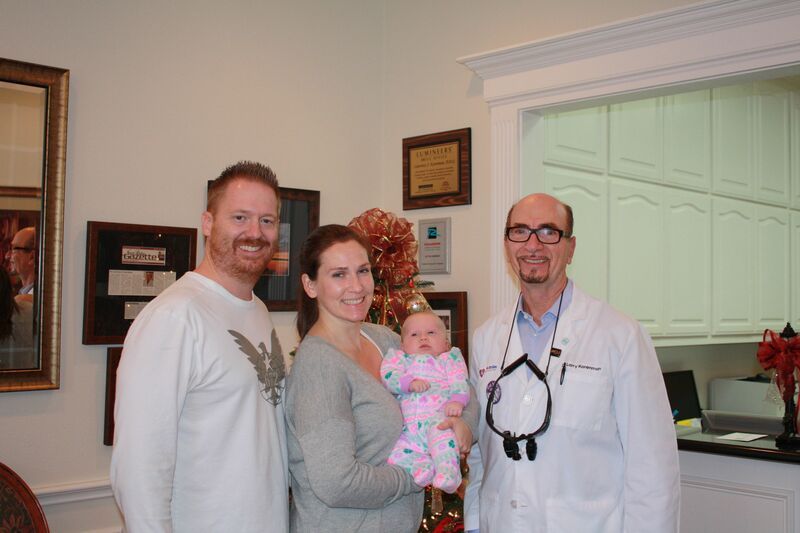 Baby Neilah, 7 weeks old, was recently in the office to have a frenectomy for both her lip and tongue ties. She had a lot of discomfort with nursing. She could hear “clicking” whenever Neilah nursed and a lot of milk would leak out of the corner of her baby’s mouth. Neilah seemed to be swallowing a lot of air and experienced a lot of gassy, abdominal pain. During the laser procedure, Hillary was able to swaddle her baby in a blanket and hold her during the entire procedure, which lasted about 1 minute. Hillary shares that Dr. Korenman and his staff made the procedure very easy. She is grateful that the office hours at Loveable Smiles in Richardson were convenient and Dr. K’s fees were more reasonable that other providers she had researched. After her laser procedure to fix her lip and tongue ties, Hillary reports that Baby Neilah is doing great! There is no clicking and she’s eating more when she nurses. Baby Neilah hasn’t been as fussy since the procedure and mom thinks this is due to Neilah not swallowing so much air when she nurses. 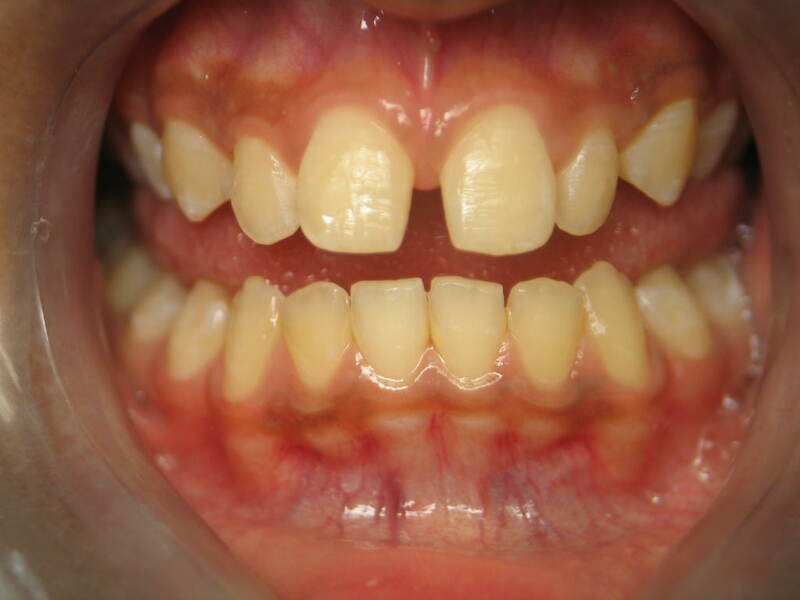 When teeth are lost the damage goes well below the surface of the gums. The bone that once supported and surrounded the roots of those teeth starts to deteriorate painlessly. 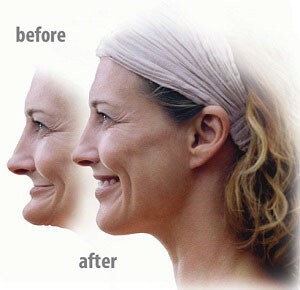 When bone resorption occurs, it causes the face to collapse. These changes can become so severe they make the person look many years older than they actually are. The more missing teeth, the quicker and more severe the bone loss. For those missing all or most of their natural teeth, bone loss can become so severe within just a few years it can become difficult to wear removable devices such as partials and dentures. There is simply little bone left to support them. It’s so vital to replace the tooth root with a dental implant which becomes integrated in the bone, and thus, preserves it. The bone forms a bond to the implants which then function as natural tooth roots – providing a solid and permanent foundation for biting and chewing. The implants have no sensation in your mouth, you do not notice their presence at all and your mouth feels very natural and comfortable. With the advances in implant dentistry now available from Loveable Smiles, you can soon be eating what you want, when you want and where you want. Your facial muscle tone will be restored. 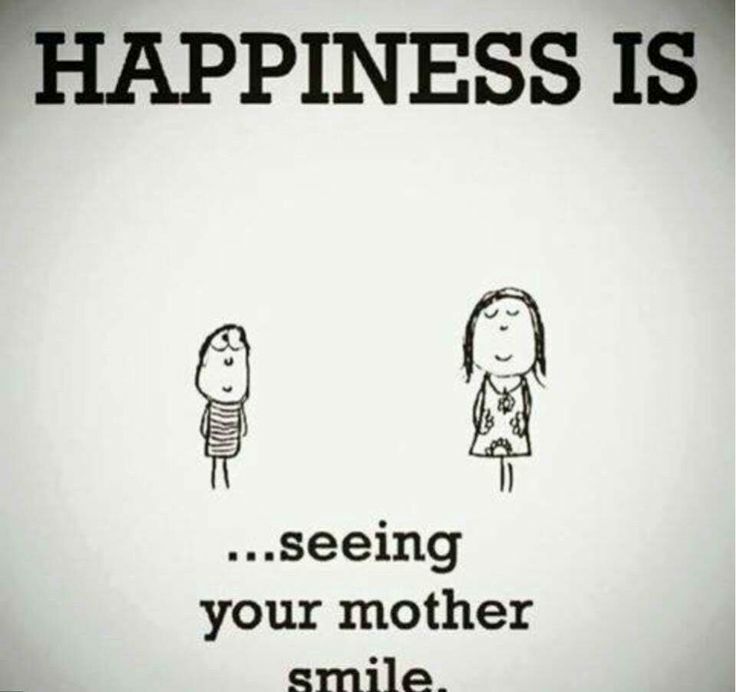 You’ll put 20 years of life back in your smile. 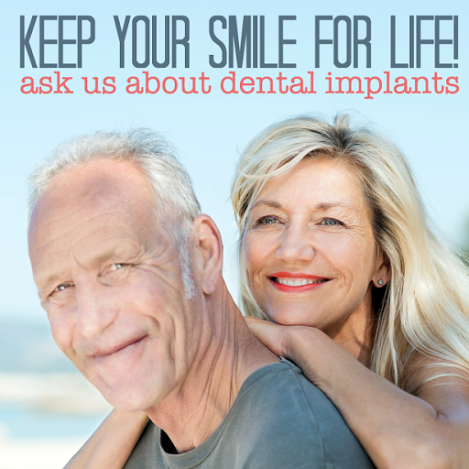 You’ll regain the self-confidence and quality of life you lost when you lost your teeth. Attention Dallas Baby Boomers! Get to the dentist! 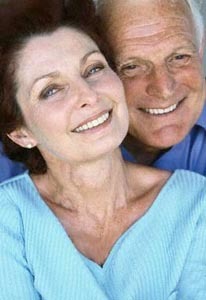 Attention all Baby Boomers who want to look good and enjoy their health, please get to the dentist! You overall health depends on it! The risk of developing Type 2 diabetes, osteoporosis and heart disease increases with age. Research has proven that these diseases often manifest themselves in the mouth. It’s called the “Mouth-Body Connection,” and it means that poor dental health can severely deteriorate your body, especially your lungs and heart, and it can also lead to a host to other conditions including Alzheimer’s disease and even some Cancers in addition to worsening Diabetes. Since your dentist is the only medical professional to check you from the neck up, these connections allow dentists to be a key player in helping you to become aware of any possible systemic imbalances. Loveable Smiles prides itself on being a leader in health for your future. We often refer patients to other medical professionals as we treat people not just teeth. Now is the time to get your wellness check to make sure you are as healthy as you can be. Tooth decay is still the most common chronic childhood disease and left untreated, it can impair a child’s ability to eat, speak, sleep and learn. Your child’s teeth need to be strong and healthy to chew, speak, sing, smile with confidence, play a musical instrument and most important, act as “space savers” for adult teeth. If your child prematurely loses a tooth/teeth, the tooth beside it may drift into the empty space, which then doesn’t allow for the adult teeth to erupt into its proper place. If your child has a cavity, it’s usually painless at the beginning. If left untreated it will become quite advanced, often with no symptoms at all. The tooth can become abscessed without the child having any noticeable symptoms until it’s too late and it becomes infected and then there IS pain! Baby teeth may be temporary, but giving them proper care can help you achieve a lifetime of oral health as well as overall health. Simple preventive checkups twice a year can prevent childhood decay and help you and your child learn how to protect their teeth throughout their lifetime as well as helping your child to have a great attitude about having dental care. All the adults who fear having dental treatment and who hate seeing dentists tell us the horrible problems they had as children. This is extremely sad because it is so simple to prevent those bad experiences if we get to meet early enough. Running a damp washcloth over your baby’s gums following feedings can prevent buildup of damaging bacteria. Once your child has a few teeth showing, you can brush them with a soft child’s toothbrush or rub them with gauze at the end of the day. 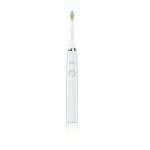 The best type of toothbrush to use at first, is a long handled brush with a small head. This design makes it easy to reach all areas of your baby’s mouth. 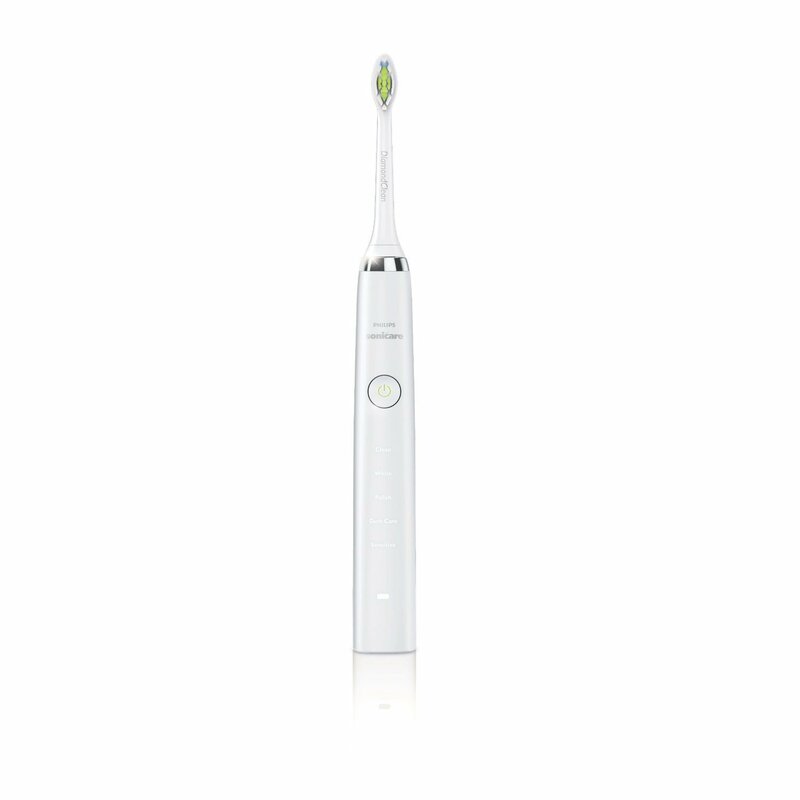 Your baby’s toothbrush should have rounded, soft filaments. You should replace it every 10-12 weeks, or sooner if the filaments become splayed. It isn’t absolutely essential to use toothpaste to clean your baby’s teeth – the brushing action itself is actually the most important part of keeping them clean. If you prefer to use toothpaste, then you should choose one that is designed specifically for infants, because they contain very little – if any – fluoride. In fact, the American Association of Pediatric Dentistry guidelines suggest that babies under the age of 2 receive NO fluoride at all. Putting your baby to sleep with a bottle in his or her mouth may be convenient in the short term — but it can harm the baby’s teeth. When the sugars from juice or milk remain on a baby’s teeth for hours, they may eat away at the enamel, creating a condition known as bottle mouth. 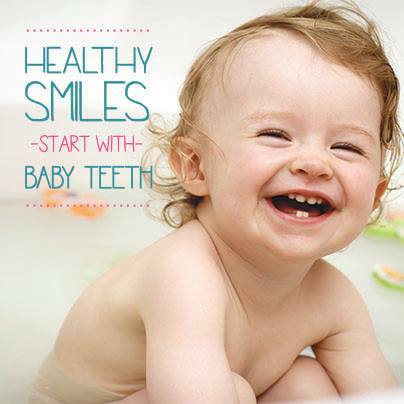 If your baby is “stubborn” and fusses about having their teeth brushed, gently continue trying every few days. Children who are nearly 2 have a passion to copy everything they see done around them. If a 2-year-old girl sees her parents brush their teeth, she one day grabs one of their brushes and insists on trying it herself. This is a good time to buy her a brush and let her go to it. Naturally, she w on’t be very efficient at first, but you can help her tactfully. 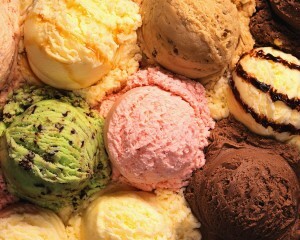 During summer vacation, kids are more likely to indulge in sugary snacks like popsicles, ice cream and slushies. Parents, should be helping their child brush their teeth every night until the child is 9 or 10 years old. After that, they should have the dexterity to properly clean their teeth. The Oral Systemic Connection is the driving force at Loveable Smiles. It’s called the “Mouth-Body Connection,” and it means that poor dental health can severely deteriorate your body, especially your lungs and heart, and it can also lead to a host to other conditions including Alzheimer’s disease and even some Cancers. If our children have healthy mouths, they are more likely to have healthy bodies and can ward off serious health issues later in life. 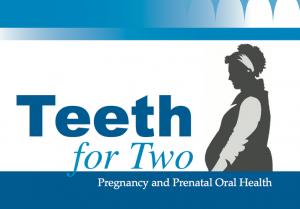 Quite often Dr. Korenman hears a common “myth” or wives’ tale about cavities and pregnancy. 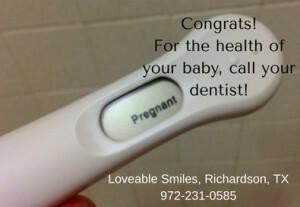 Women share with him that they had perfect teeth until they got pregnant. That all of their calcium leached out of their teeth and into the baby’s bones causing all their cavities. The reality is that the calcium does not leach out of teeth. Hormones change during pregnancy causing the gums to be more susceptible to infection. 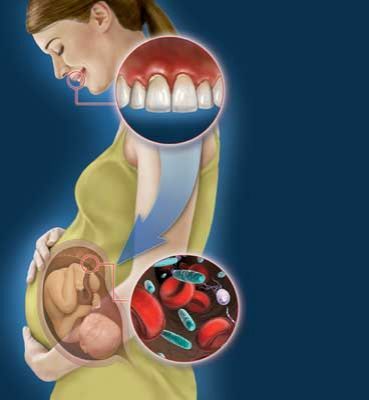 Many women experience nausea during pregnancy not allowing them to eat let alone put a toothbrush in their mouth. So the teeth aren’t getting cleaned. Many women can only stomach certain foods and often give in to cravings that contain a lot of sugar and/or carbohydrates. 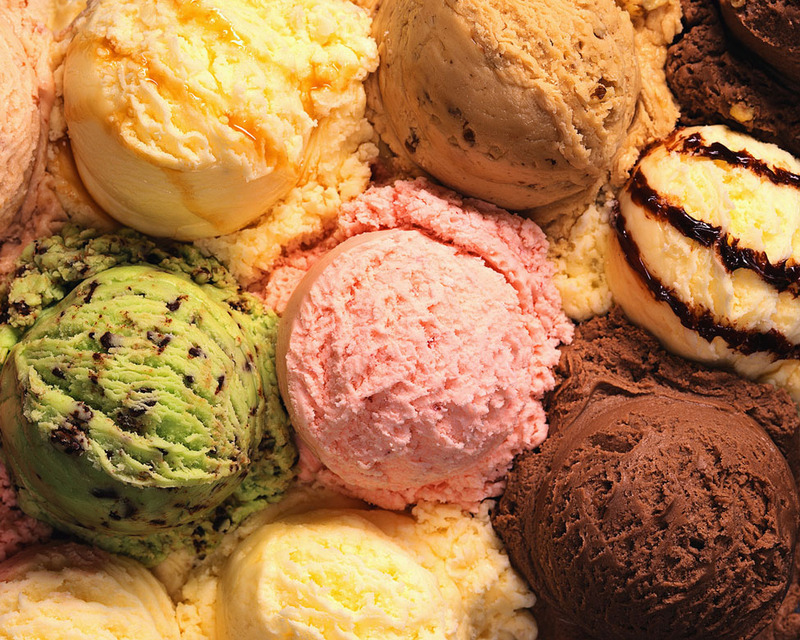 These foods can cause tooth decay. If you are pregnant, one of the most important medical appointments you can make is to call your dentist. Why? 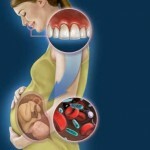 Because the bacteria that cause gum disease may increase a mom’s risk for delivering prematurely. There is a link between uncontrolled gum disease (and the mom may not even know she has gum disease as 80% of people have it) and pregnancy complications such as premature labor and preeclampsia (rise in blood pressure). Scientists believe these infections cause a rapid increase in certain fluids in the body that, in turn, induce labor. It’s not necessarily the infection itself but the body’s response to the infection that causes the premature birth. Dr. Korenman recommends that women visit his office as soon as they learn or their pregnancy. 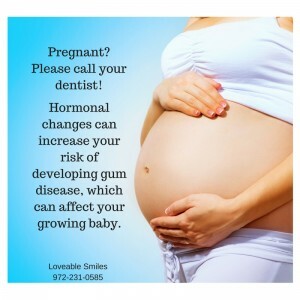 Dr. Korenman and his team will test for any dental health problems that might affect your baby. If you are diagnosed with gum disease, Dr. Korenman can design a safe treatment plan to treat it and to help you keep it under control.